Aircraft carrier «Admiral Kuznetsov» and nuclear-powered battle cruiser «Pyotr Velikiy» make their way outside Norway towards Kola. The Northern fleet’s ships are passing through the North Sea this weekend and will likely sail into the Barents Sea towards their home base Severomorsk next weekend. Wednesday and Thursday, the Russian warship group was followed by UK aircrafts and naval vessels through the English Channel. The vessels have been deployed to the Mediterranean waters outside Syria since sailing south in October last year. Fighter jets on board the carrier have participated in bombardment of anti-government rebels in Syria. Two of the jets have crashed during the deployment in the Mediterranean. «Pyotr Velikiy» is Russia’s only nuclear powered surface vessel in operation. The ship carries, among other weapons, a range of cruise missiles. 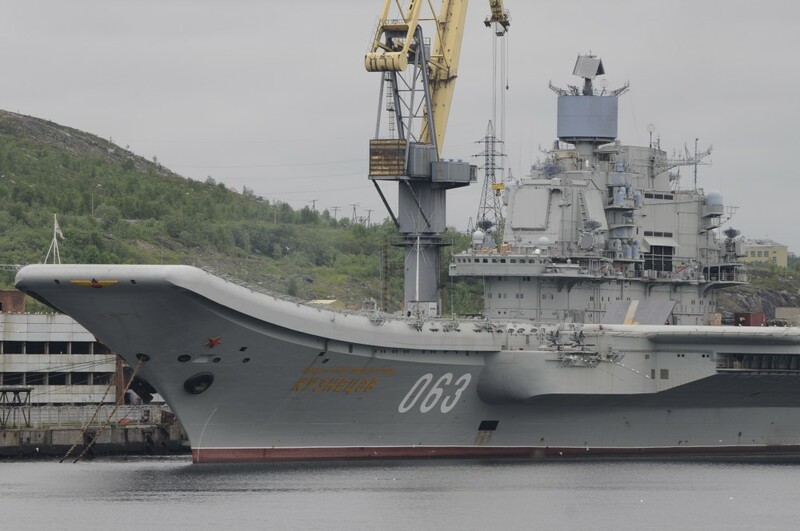 «Admiral Kuznetsov» is crewed by 1,960 servicemen, while «Pyotr Velikiy» has a crew of 727 persons. The naval group is like followed by at least one nuclear powered attack submarine, likely an Akula class.